We are a silly group, can't you tell? But we know what we're doing; we're even serious when we need to be. 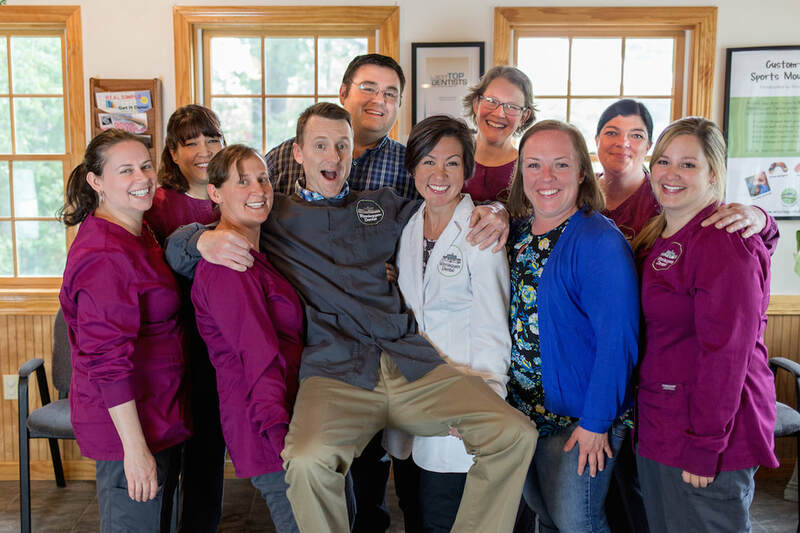 We are a highly skilled group that works together to serve our patients. Let our little family treat yours! 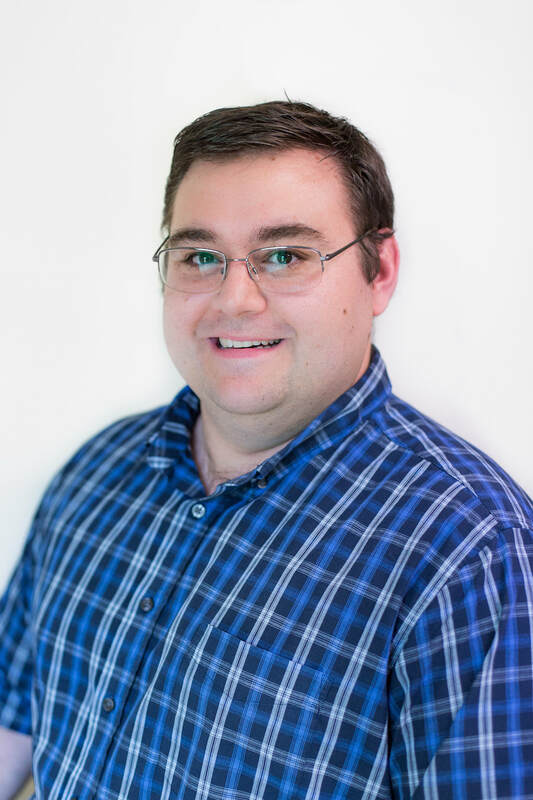 Michael, Office Manager Mike has been the IT mastermind of Winnisquam Dental since it opened in 2003. When Mike isn’t solving the world’s technical problems, he is busy, playing his 3 year old daughter’s favorite game, which is called “not listening”. To unwind after a long day, Mike loves to game, especially the Fallout Series and hang out with his lovely wife. Andreea, Dental Assistant, is originally from Romania and has been in the United States since 1999. Andreea attended college at New England College in Henniker, New Hampshire and joined our dental team soon after graduation. Andreea oversees our OSHA protocols and is certified in rubber cup prophylaxis from the New Hampshire Technical Institute. Andreea is married to Jason and has a stepson named Dominic. She enjoys alpine skiing, tennis, swimming and traveling. 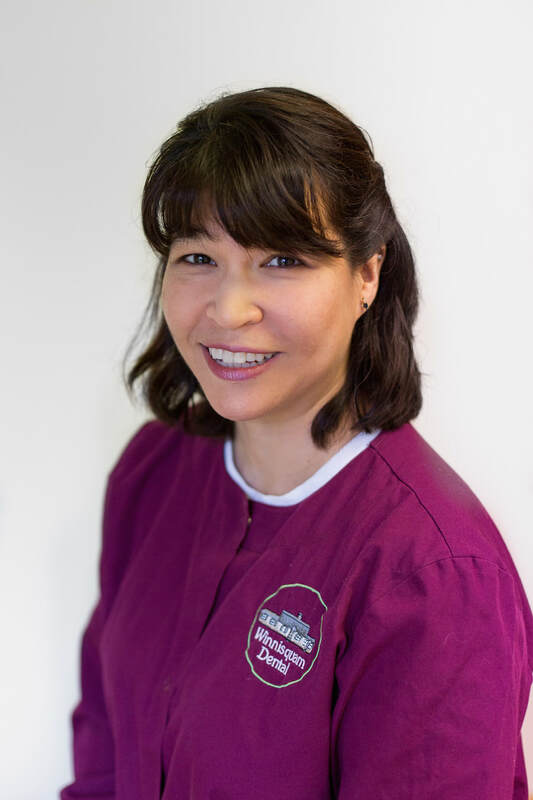 Mel, Hygienist, graduated with her dental hygiene degree in 1999 from New Hampshire Technical Institute in Concord. 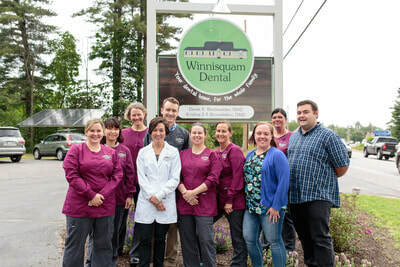 She has been working for Winnisquam Dental since the office opened in 2003. Originally from New York, Mel was an "Air Force brat" and at age 10 ended up in Eagle River, Alaska where she grew up. In her spare time, Mel enjoys reading, spending time with her son, shopping, and traveling. 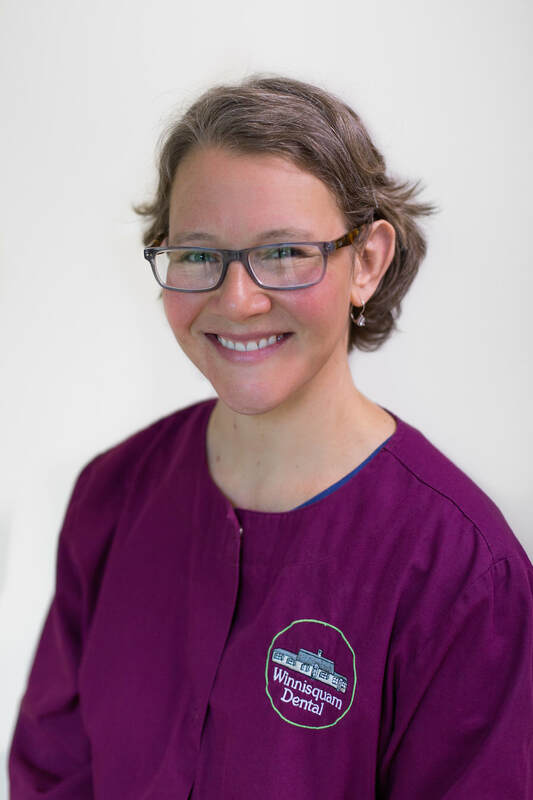 Kate, Hygienist, was raised in Littleton, NH at a time when there was only one stop light in town. She attended New Hampshire Technical Institute for three years and began her dental hygiene career in Lincoln, NH. Kate enjoyed her twenties in Lincoln, where she met her husband, Nate. Their names rhyme...it was meant to be. Kate received her Bachelor's degree in Pre-Dental at Plymouth State University in 2006, the same year she was married. Kate is now a mom of three children and loves it! She enjoys hiking, snowshoeing, and long walks, especially if these activities involve her family. Kate also really enjoys talking about flossing...she can't help it, she loves her job! 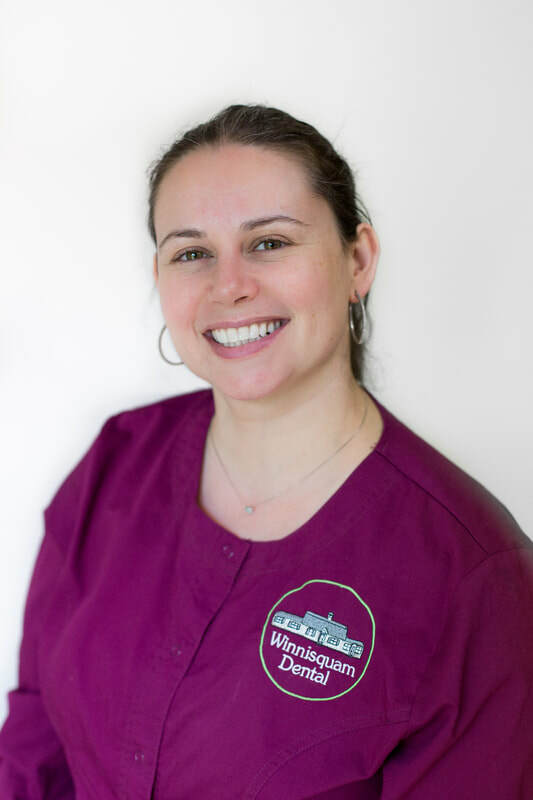 Renee, Scheduling Coordinator, Army Veteran and mother to 2 rascally boys, a patient of Winnisquam Dental since 2007, Renee joined the WD team in 2016. Renee is a graduate of Johnson and Wales University and has a customer service background. She looks forward to assist you with your scheduling needs. In her spare time, Renee loves to create new recipes, write fanfiction, knit, and takes a HIIT training class 3 times a week. Renee likes to challenge herself by trying to guess the final Jeopardy based solely on the clue. When Renee isn’t at work she can be found at $5 burger night or living the lake life on Winnipesaukee. 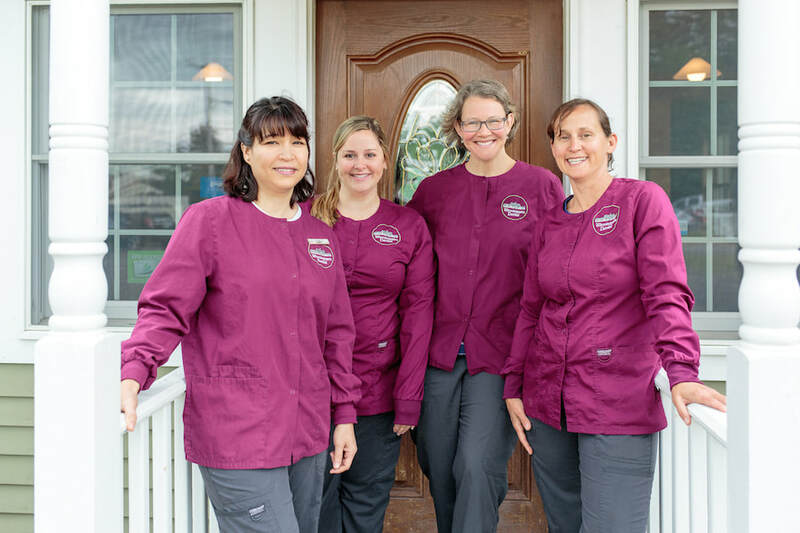 Jolene, Hygienist, grew up in the small town of Lincoln, NH. She graduated in 1997 from Colby-Sawyer College with a B.S. in sports medicine and then attended New Hampshire Technical Institute, receiving her degree in dental hygiene. She enjoyed many years of traveling the country following her favorite band Phish. She also became a "ski bum" and whitewater raft guide in Colorado until deciding to move permanently back to New Hampshire. She lives in the beautiful White Mountains and enjoys life with her husband Jeb, and two children Beyden and Camden. When she is not at work, Jolene enjoys just about any outdoor activities with her family. In the summer months, she spends quality time in her vegetable garden. 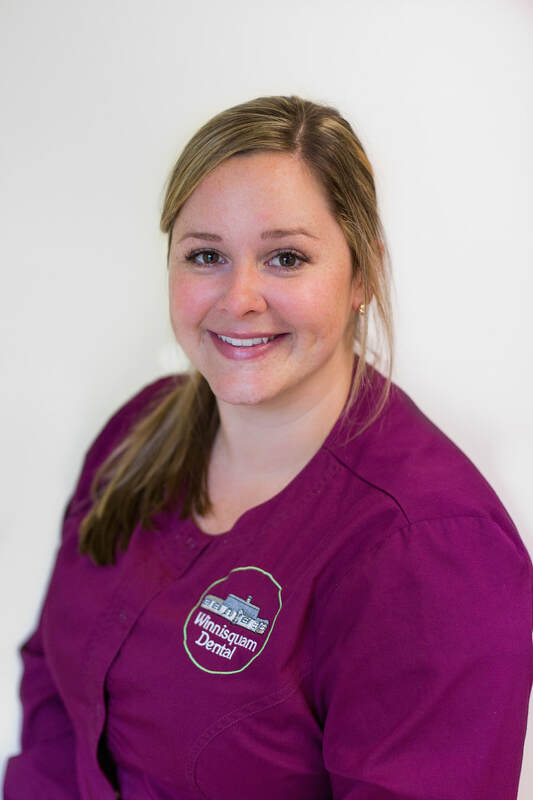 Anni, Hygienist, Anni is a lifelong native of Gilford, NH, moving back after she graduated from the NHTI Dental Hygiene program in 2012. She joined the Winnisquam Dental team in 2015 and couldn’t be happier. Anni loves to ski, hike, and bike. When Anni isn’t outdoors, she loves traveling near and far. Anni keeps herself busy working on her house, working out, and spending time with her wonderful friends and family. ​Heather Barnard-Nault grew up in Barnstead, NH. After graduating high school, Heather moved to Pittsburgh, PA to study Travel and Tourism. She worked at a travel agency and also became a certified Pharmacy Technician. After that, Heather decided to pursue dental assisting and now has been in the field for over 18 years. Heather lives in Concord with her husband Jeff and their two very active children , Zoë and Jackson. 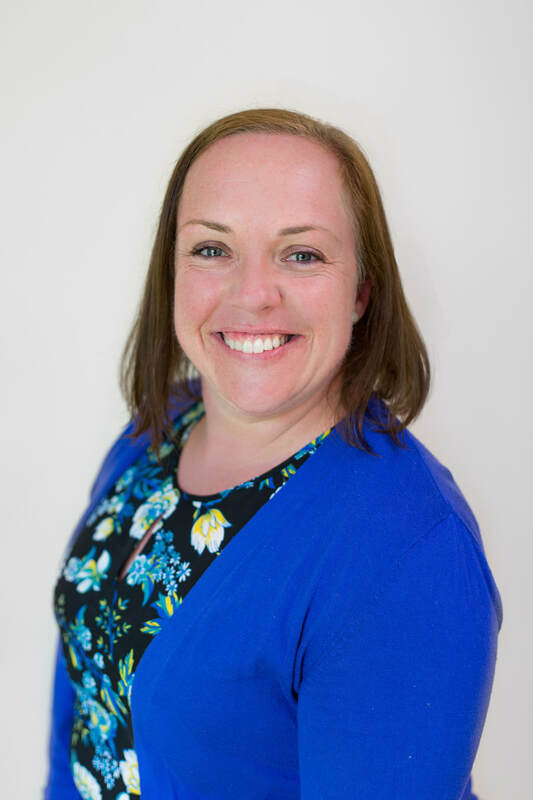 In her spare time Heather serves on two boards, coaches cheerleading; she loves to travel, attend concerts and relax with family and friends.